Bunions affect about 23% of all adults. In addition to being painful, bunions progressively worsen without treatment. 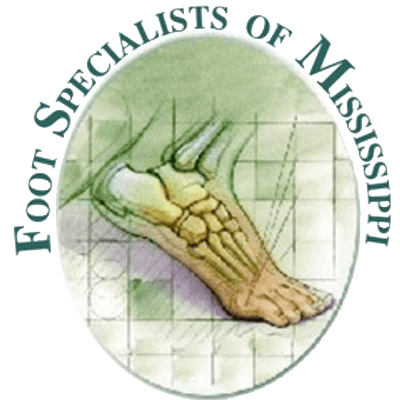 Vern Christensen DPM, MPA and Jeffery VanYperen, Jr., DPM at Foot Specialists of Mississippi treat bunions with conservative measures when possible, but in many cases, their expert surgical skills are needed to correct the problem permanently. If you have questions or need to schedule an appointment, call the office in Amory, Mississippi, or use online booking. A bunion is a foot deformity that develops gradually as the bones in your big toe are forced out of their normal position. When the big toe undergoes persistent pressure, the top of the toe bends inward, pushing the joint at the base of the toe outward. As a result, you develop a bony bump on the side of your foot. Without early treatment, bunions get progressively worse, and the normal structure of the bone begins to change. Bunions develop over years of abnormal motion and pressure. In some cases, your foot may not develop properly, or you may sustain an injury that affects the way you walk. You can also inherit a tendency to develop bunions. Shoes that are too narrow or have a pointed toe or high heels put abnormal pressure on your big toe that accelerates bunion development or worsens an existing bunion. If you’re experiencing any of the painful symptoms of bunions, visit Foot Specialists of Mississippi for effective treatment. Treatment begins with nonsurgical options, but when your symptoms don’t improve, or your bunions worsen, surgery is often required. Orthotic inserts or orthopedic shoes can eliminate pressure on your bunion and stabilize the joint. Your doctor at Foot Specialists of Mississippi may teach you exercises or recommend physical therapy to improve mobility in your toe. When you experience severe inflammation or pain, topical pain medication or injections help relieve your symptoms. In many cases, the best way to get rid of a bunion is with surgery to correct the deformity. When you need surgical intervention, you can count on the expertise of Drs. Christensen and VanYperen. As soon as you experience pain or notice a lump developing on the side of your foot, call Foot Specialists of Mississippi or book an appointment online.